Adding your Setmore Booking Page to your business website will help boost your conversion rate, as newcomers and returning customers can more readily book appointments with you online. If you use Joomla to build and manage your business website, then you've come to the right place. 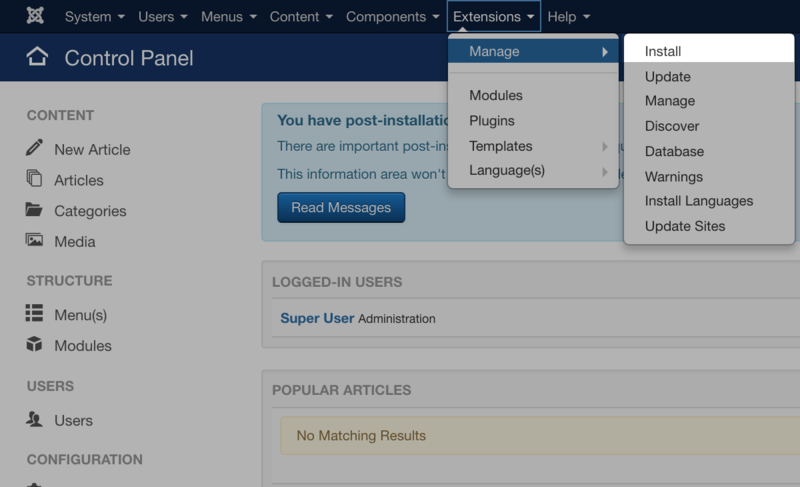 These instructions will walk you through how to install the Setmore module into your Joomla account. Once deployed, this module will add the Setmore "Book Appointment" button to your Joomla toolbox, allowing you to place it anywhere on your website and have it link to your Setmore Booking Page. 1. 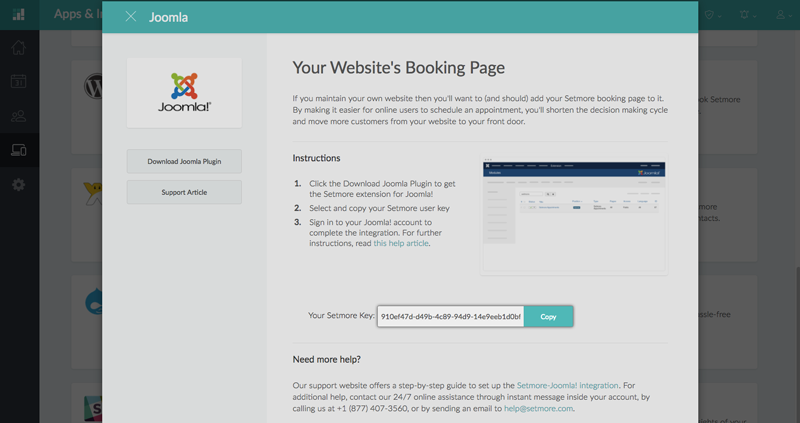 Download the Setmore plugin for Joomla here. 2. 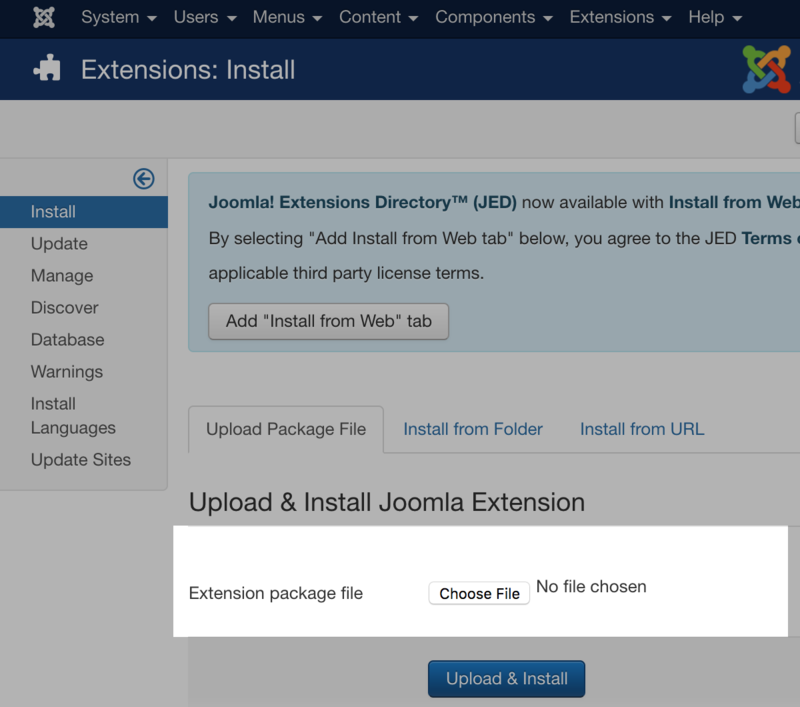 In your Joomla account, navigate to Extensions > Manage > Install. 3. In the Upload Package File tab, click "Choose File." Select the Setmore plugin file (that you downloaded in Step 1) and click "Upload and Install." 4. Navigate to Extensions > Modules. 5. 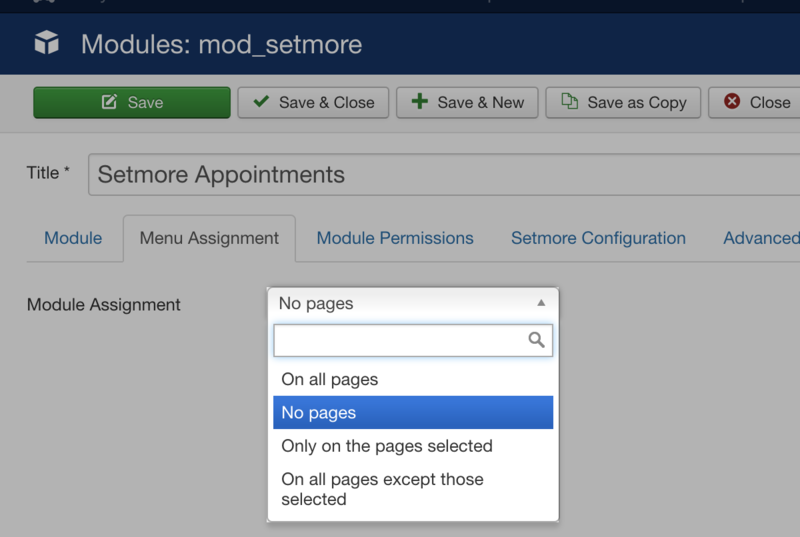 Find and click "Setmore Appointments" in the list of modules. 6. In the following window, click the "Menu Assignment" tab. Use the dropdown menu to select the pages where you would like the Setmore "Book Appointment" button to appear. 7. 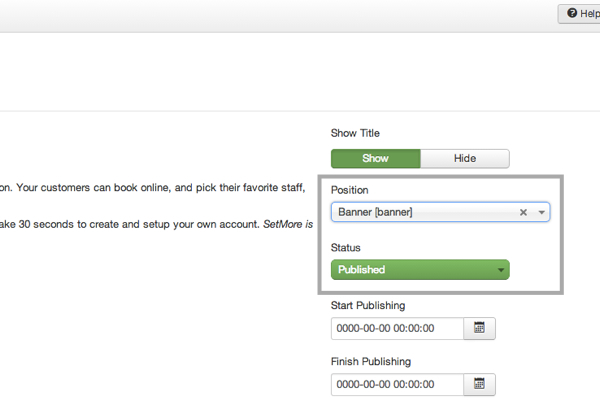 In a separate browser tab, open your Setmore account and navigate to Apps & Integrations. Scroll down to the Integrations section and click the Joomla card. 8. 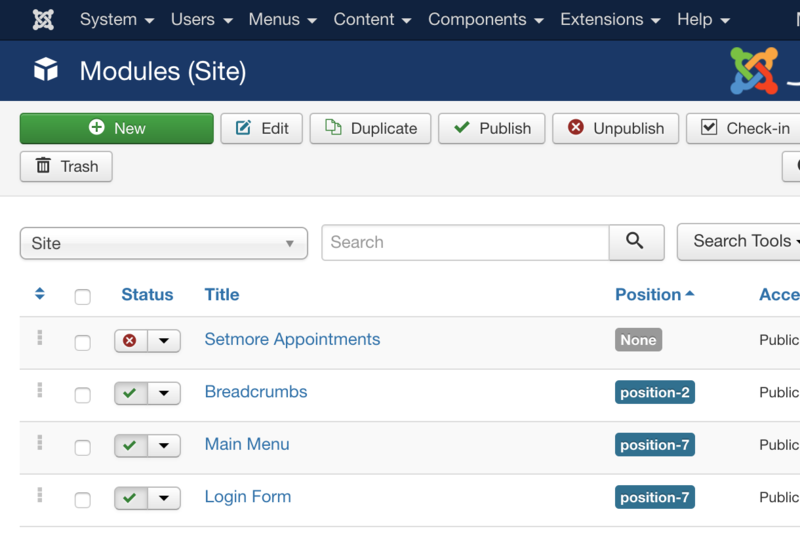 In the Joomla window, find the form field titled "Your Setmore Key." Click the "Copy" button next to this form field. 9. Tab back over to your Joomla account. Click the "Setmore Configuration" tab and paste your Setmore key into the form field provided. 10. Use the dropdown menu on the left side of the dashboard to select the position of the "Book Appointment" button. 11. Click "Save & Close" at the top of the Module Manager. The integration is now complete. 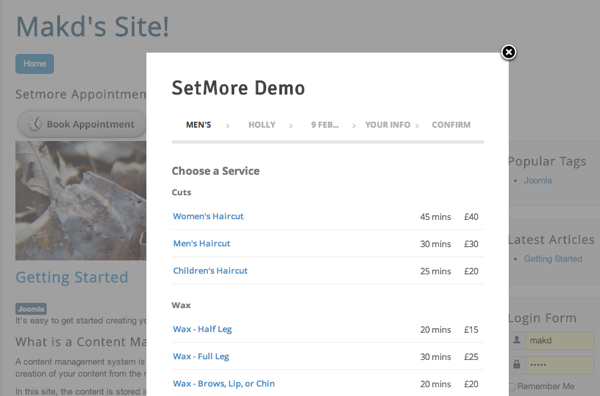 You should now see the Setmore "Book Appointment" button appear on your Joomla website. When clicked, this button will open your Setmore booking page in a lightbox window.